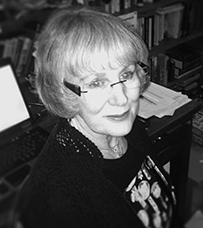 Heather Attrill's academic background and areas of research interest have focused on a range of English literature. She completed a BA, Master of Letters and PhD at the University of New England. Since completing her doctorate in 2006 she has been teaching at UNE in a number of different capacities in English literature of the Early Modern period, the nineteenth to twenty-first century, and Children's picture books and young adult fiction. In 2007 she also spent a year teaching English language and academic writing skills at Chongqing Technology and Business University (CTBU), Chongqing, mainland China. Particular research interests include Old English prose and poetry, Children 's literature, Contemporary Fantasy and creative writing. ‘Lore, Myth and Meaning – for Post-Moderns: An Introduction to the Story World of Robert Jordan’s Wheel of Time Sequence.’ Australian Folklore, No 18, November, 2003. 37-76. ‘A Wigwam for a Goose’s Bridle’, Australian Folklore, No. 16, October 2001. 124-135. ‘Graham Seal, The Outlaw Legend: A Cultural Tradition in Britain, America and Australia, Cambridge, New York and Melbourne: Cambridge University Press’, 1996. Australian Folklore, No. 12, August 1997, pp. 272-275. (This review has been cited in Australian Literary Studies, Vol. 18, No. 3, May 1998 under Annual Bibliography of Studies in Australian Literature: 1997. Comp. by Carol Hetherington and Irmtraud Peterson, 306).